Vermont connection to The Simpsons? 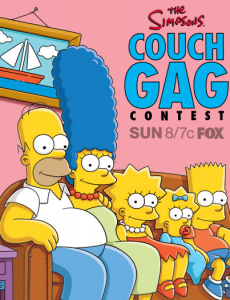 My brother, Ben Feldman, is 1 of 3 finalists chosen out of 25,000 for a contest on the Simpsons Television Show! The winner will have their illustration animated on the season finale. I am being a shameless sister and asking if you would please vote for him…check it out!! Borrell Associates has released its 2013 Local Advertising Outlook report. There’s a lot in the document. However for the purposes of this post the headline is: Local online advertising projected to grow 31% from $18.7 billion in 2012 to $24.5 billion in 2013. 13 Words for 2013 FPF Raffle! • Five below, a hot cup of cocoa, Husband’s outside, I think he’s loco. • I am living where I am now because of awesome Front Porch Forum! • My father’s advice: Find ways to enjoy the things you have to do. • To those who ordered through FPF 2012, daughter’s troop disbanded, no cookies, sorry! • My wife and I are quitting smoking after thirty years. Wish us luck. • “DADDY! Look at my snowfort… WOOHOOOOO!! !” A routine driveway shoveling suddenly became unforgettable. • Every day in January has more light than the last one. Thank God. • My husband, my friend, our love will not end. I love you Steve! • Let’s all rally around Vicky and Horace who lost their home to fire! • If we could have had our Grandaughter first we wouldn’t have had kids. • People who live in glass houses ought to get dressed in the basement. • If one reads FPF long enough one hears all sides of a story! • Nothing can replace, Front Porch Forum, It sets the pace, For eliminating boredom. • Too many blonds in the family to keep track. Thankfully neighbors can count. • Does anyone know the legal load limit for Grove Street? I am curious. • Step outside what´s familar. Walk, listen, learn, be there. No expectations. Return refreshed. • I love Front Porch Forum and do not even have a front porch. • Dalai Lama asks in pizza shop, can you make me one with everything? • Why do penguins swim in salt water? Because pepper water makes them sneeze! • Heat makes things expand. I’m not overweight, I’m just a little too warm. • All year, $13 FPF donation for each desired result. Wanted: re-home two guineapigs. • Vintage wedding dress: 1953, once white, now rich ivory, satiny, lace, lovely– $100. • Everyone i know is having babies, i better learn to hold them soon. • Neighbors helping neighbors, now that’s a motto we can all feel good about! • Why not put an ice rink in the Oakledge Park? Skating is fun! • thanks to the gentlemen who pushed my car over the snow on winooski! • Headline: Toddler sets downhill speed record at Bolton. Anyone have a used harness? • Thanks Front Porch Forum for bringing our community together, and for the raffle! • Thanks to Front Porch Forum for another community strengthening and fun facilitating year! • A decade living here, 2013 is time to get more involved. Hello neighbors! • Wonderful way to exercise, socialize, relax, think, see how your neighborhood is doing. • Questions, concerns and community awareness, what’s not to love about Front Porch Forum? • There is no way I could limit my FPF accolades to thirteen words! • Looking for a wild ride? Night sledding down Philo is quite a rush. • Why aren’t elephants allowed at Shelburne Beach? They can’t keep their trunks up! • I asked Freja to write something for this raffle but she said “No!”. • My hope for you, my Essex neighbors is life, love, peace and happiness! • Feeders full, Birds of all kinds. Cat on the sill, losing her mind! • Husband bought a boat, so now chickens for me. Coop for sale, anyone? • Went over the fiscal cliff with only my wallet to break the fall. • From hunting laws, to deicing roofs, I learn so much on this forum. • What do you get when you cross an elephant with a rhinoceros? Hellifino! • I have concluded that the future is not what it used to be. • The chances of a raffle are nice, but having a community is priceless. • What do you call a crate full of ducks? A box of quackers! • What did the chef say about the tiny pickle? That’s no big dill!! • Cat walking on keyboard drives me absolutely bonkers, but I love her anyway. • Help! Held hostage by two old TVs. 22-inch and 21-inch. Both work. Free. • Bindings broke, I’m in a pickle, Any snowshoes out there for a nickel? • Richmond’s Front Porch Forum is one of the most interesting in the state. • Have you heard about corduroy pillows? They are making headlines across the nation! • Nothing inspires such false hope as the first four hours of a diet. • Don’t audit life. Show up and make the most of it right now. • Posted our lost cat on FPF. Responses aplenty. He was found. FPF ROCKS!! • Lots of holiday company. Lots of left overs. Want to come for dinner? • Knee surgery last winter. Grounded. One year later…bring on snow and snowshoes! • How lucky we are to have Front Porch Forum at our fingertips everyday. • No bears allowed says the sign at my bird feeder. Grrr says bear. • Roses they are red. Violets are blue. Everyone I know. Loves FPF too. • What do you call a heifer after she gives birth? Decaffeinated. Get it? • How many ways can we say how much we enjoy Front Porch Forum? • Oh, glorious Vermont, how lucky we are to live here. Love thy neighbor. • Thanks, FPF, for connecting me to my Valley neighbors, even in the winter! • I’m glad that Northfield joined FPF. It helps me feel connected to neighbors. 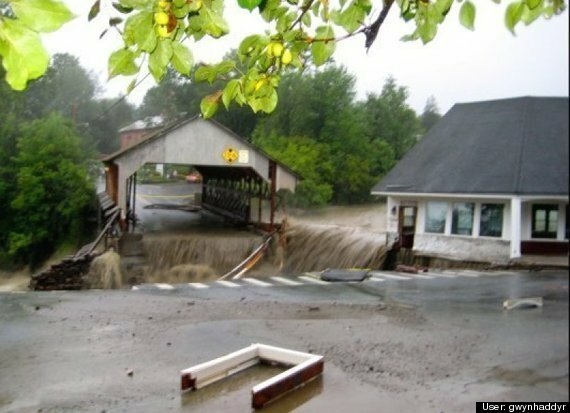 • Hurricane Irene hit hard but showed us what wonderful people our neighbors are! • Waiting is imprudent so the time is now to act on your dreams! • If we look at everyone we see as holy, then peace will come. • This raffle will get you used to posting on the Front Porch Forum. • And I love winning things! Leunig’s is my favorite restaurant. Got fingers crossed! • Vermont is such a special place to live. I feel so blessed everyday. • Seeking local, sustainable, community-oriented renewable energy sources? FPF will fill your tank. • I apologize. The beautiful white snow on each corner is now yellow. Django. • Winter…be warned…hellebore, crocus, tulip, daffodil, hyacinth and iris wait to spring. • Tell everyone in your ‘hood, test every battery before calling it no good! 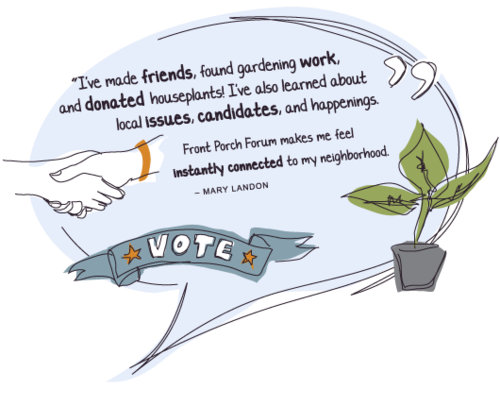 • Thanks Front Porch Forum for keeping neighbors connected to each other in 2013. • Living in Burlington, Vermont is a gift beyond compare. Lake, Mountains, Sky, Community! • Drag your tree to a group for pick-up; Christmas trees look better together! • Quote: Use it up, wear it out, make it do or go without! • Why did the Komodo Dragon cross the road? To get to the commode! • I love free stuff… Neighbors offer free stuff on FPF… I love FPF! • This forum makes my day! Found glove, used skis or cat gone astray! • On FPF such great treats I find, like GS cookies, just my kind! • Thirteen words? What would I write about? Seems too hard. I give up. • 2012 record high temperatures. The universe may be unlimited, the Earth is not. • Please consider school board run. Two seats open. We need thoughtful, new participants! • Any screws, nails, hardware, antique tools to get rid of please contact me. • Cold winds gone. Dog bored. Squirrels restless. Must mean mud in my future. • Thirteen is my lucky number. I’m not just saying this. Or am I? • Anyone have a good contractor they would recommend to improve existing attic insulation? • While wearily waiting, we wonder when westerly winds will weaken wicked winter weather. • Seeking local, personable, reliable, reasonably priced mechanic for vehicle whose warranty is up! • What has no head during the day but at night gets it back? • Snowshoeing on a blanket of snow over my sleeping garden, dreaming of Spring! • Although a thaw this weekend, please remember shovel out hydrants during next snow. • An opportunity for free, just add some spice. A neighborly jester. Why not! • Arm chair with slipcover available. Free for Front Porch members, $25 on Craigslist! • I see rabbits in my yard all summer. Why only tracks in winter? • Troop 692 thanks the community for donations and support for x-mas tree pickup. • Thankful for the snow in December 2012 and hoping for more in 2013! • Two feet of snow and more coming! Who has the White Mountain now? • Everyone likes to win prizes. Is the prize possibly simply in the playing? • Real Vermonters don’t leave when it’s below zero; we’re froze to the ground! • Colchester is two hundred fifty years old in twenty thirteen. Celebrate, COMMUNITY, Colchester! • News Flash! Number Thirteen finally given chance to prove itself a lucky number! • Find your pet, someone to help you, a new home for unwanted stuff! • Snowmobiles drove through *my lawn. * This is a no-no. Marshmallow cannon standing by. • Free studded snow tires, size 235/75R15. Call 635-8336. And here’s 5 more words! • Help! I need somebody. Help! Not just anybody. Help! I need someone. Help! • How lucky I am to have the wonderful neighbors living in Summer Woods. • I love the grace and thrill of skiing Hate the cost Pick me! 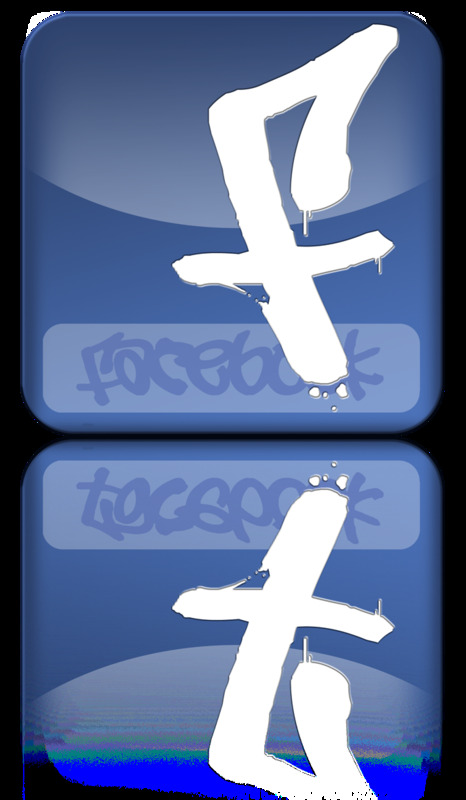 • Front Porch Forum spreads the word Just like a cute little tweety bird! • Would I shamelessly post to FPF for first time to win prizes? Yes! • A skeleton walks into a bar, says, Gimme a beer and a mop! • Thirteen words bring me luck so at Leunig’s I may dine on duck. • chickadees, honeybees and beautious birch trees, microbrews slopes at noon; i love vermont. • In Tinmouth, potatoes grow small. You have to eat ’em skin and all. • The news begins with “Good Evening”, then proceeds to tell you it isn’t. • In the deep midwinter, snow on snow on snow, not so long ago. • Lift up your heart and eyes to meet the ardor of the stars. • Terrifying troublesome truck trouble tempting traumatized troubleshooter towards towing truck to Timbuktu tomorrow. • I will try to keep this lean, with nothing more than lucky thirteen. • Middlesex is booming with joy, kindness and creativity. Can you feel the vibrations? • Temperatures rising, go and get ready; hurry and snowshoe, ski and go sledding.